Yvonne was commissioned as an Apostle-Prophet by Global Spheres, Inc. in September and a small team accompanied her for the GSI Annual Meeting and GZI’s Head of the Year Conference 5779 – the year of the New Wineskin, New Birth and Holy Spirit Movement! The LORD is GOOD! 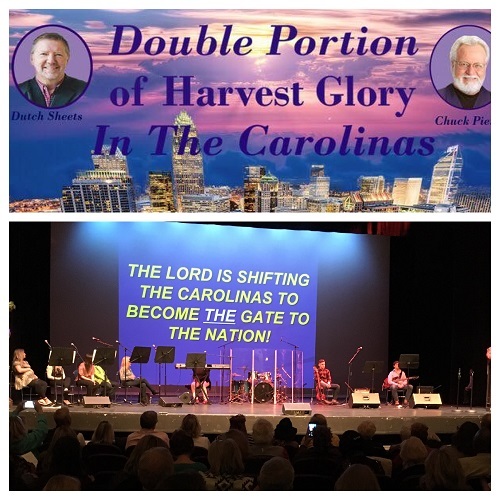 Chuck and Dutch released powerful words over The Carolinas as they released a “Double Portion of Harvest Glory in The Carolinas!” One of those words contained a decree that The Carolinas (both North and South as one plus the covenant root in Virginia) would be The New Gate to our nation. In 2016, Yvonne went to the Forts of Charleston to pray about the breech of the Civil War. She first went to Fort Sumter which took the first shot, but then she realized that the shot came from somewhere. So she also visited and prayed at the remains of Fort Johnson. Our team just so happened to have already planned a trip to Virginia Beach this past month (January 2019) to release fresh blessings on our nation from the replica of the cross that Rev. Robert Hunt planted there in 1607. Click picture below for more pictures posted to Facebook. See also previous report of Yvonne’s trip in 2015. A full report for January 2019 trip is coming soon! Chuck and Dutch decreed A New Watchman Movement had begun! In the past few months, we have been THRILLED to see and be a part of several new prayer movements in our region including a few for women and at least one targeting youth and young adults. 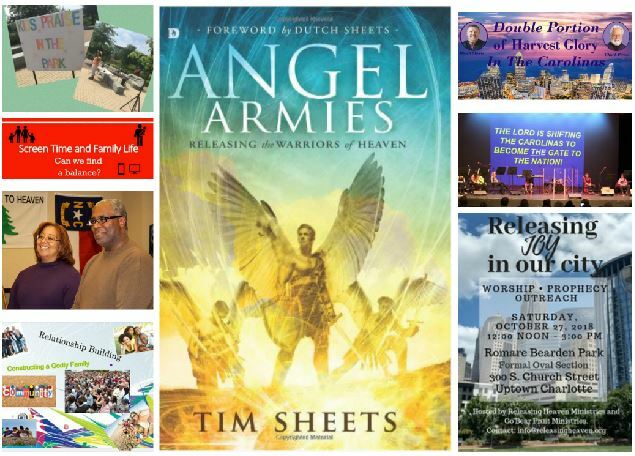 Our decree – We Stand Ready Lord as Your “watchmen “at “The New Gate” to do Your Will – to decree & declare Your Kingdom COME – as it is in heaven, we loose it on the earth!